Infor provides a great example of ongoing reinvention of a software firm: taking a collection of decades old applications, leveraging the deep and rich functionality developed and lessons learned over generations of actual on-the-ground use, and migrating all that IP and knowledge into modern cloud/network-based architectures that can compete well against 'shiny new' best-of-breed applications. At their recent Innovation Summit for the analyst community, we had an opportunity to meet directly with Infor’s senior executive team. While Infor was only founded in 2002, they have grown almost entirely through acquisition of older, mostly industry-focused, enterprise software providers and solutions. Most of Infor acquisitions were founded 20, 30, or 40+ years ago1 (mixed in with a few SaaS/Internet era firms). The foundation of a modern solution is the ability to run in a true SaaS (multi-tenant single instance) architecture. For traditional ERP vendors, converting millions of lines of legacy code from a traditional on-premise architecture to a true SaaS model can be prohibitively expensive, usually involving a fundamental rewrite of the underlying code. Infor, who has a massive installed base of users on its legacy on-premise systems, has made major investments in CloudSuite—ten industry-specific and 17 horizontal true SaaS solutions.2 Infor uses Amazon AWS as the underlying cloud service provider. Equally important for their existing customers, Infor provides a migration path to reduce the risk and customers’ trepidation about making the leap. Infor has a program called Lift and Shift, in which they start by hosting the customer’s existing implementations as-is (customizations and all). Thus the only thing that changes in the first step is that the customer is no longer responsible for the hardware, datacenter, and systems management; all that shifts to Infor. Then within a 24-month period, Infor helps the customer move onto the appropriate CloudSuite solution. Infor also has a program called UpgradeX, which lets customers upgrade to a cloud ‘equivalent’ of their existing platform first, and then ultimately to a CloudSuite solution. 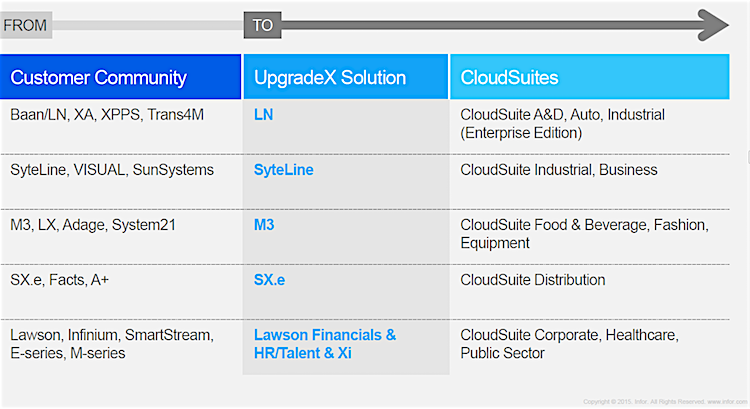 Below are the migration paths defined in the UpgradeX program for Infor’s major legacy systems. So is this strategy working? Infor’s cloud/SaaS growth numbers are pretty impressive: SaaS revenues have more than doubled over the past year, with SaaS deals over $500K increasing 150% during that time. Cloud/SaaS customers are renewing at a 93% retention rate. Infor has almost 5,000 customers with 58 million users on their cloud solution. That is still a small portion of Infor’s 73,000+ customers, but they expect by the middle of FY 2017 that over half of all license revenue3 will be from SaaS systems. It will take some time (years) to get the majority of their customers on the cloud, but they are certainly making big investments, smart moves, and good progress. Many-to-many architecture—i.e. Network SaaS has inherent support for many-to-many connectivity, a many-to-many security model, many-to-many data model, many-to-many integration and workflows, and so forth. Pre-connected community of trading partners—customers, suppliers, and third party service providers (e.g. banks, carriers, brokers, inspection firms, and so forth) are onboarded once for the whole network, rather than requiring separate onboarding for each trading partner pair. Network-wide leverage—ability to leverage the power of network-wide data, processes, business intelligence, knowledge, and continuous improvements across the network. Infor acquired GT Nexus not just for their functional capabilities (logistics, procure-to-pay, supply chain finance, inventory management, etc.) but for their network architecture and community. In fact, the first thing Charles Phillips’ (Infor’s CEO) stressed in his opening presentation at the summit was the importance of the network for their future. He talked about how so much of a company’s destiny and success lies outside the firm, with a business’s trading partners who buy, sell, design, build, package, transport, service, insure/finance, distribute, and perform many other critical functions on behalf of a company. Many of these functions—like manufacturing a product, or moving goods from one continent to another, or planning and executing promotions, or executing construction projects—require the coordination and synchronization of many different parties working together. This is best served by a network platform connecting them all with a single-version-of-the-truth between all the multiple partners involved in these activities. Phillips said that GT Nexus is Infor’s foundation for multi-enterprise transactions and Ming.le is their platform for multi-enterprise social networking. 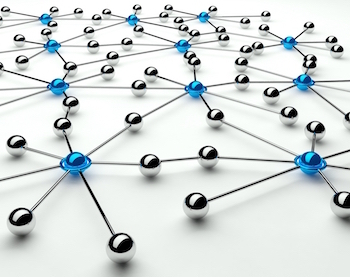 Infor expects to expand the network approach into other areas in the future. One could argue that Infor is the furthest along of any major ERP vendor4 in moving to a network model. Another highly differentiated capability of Infor’s is Hook & Loop, a combination of a creative agency and McKinsey-like transformational strategy consulting. This gives them access at the CEO level, as a strategic partner helping reinvent their clients. They provide a holistic set of services, taking these engagements from ideation workshops, through design, rapid iterative prototyping, content creation, marketing, SEO, program management, and deployment on AWS. In these engagements, Infor brings industry-specific solution architects, with deep domain expertise (like former Chief Medical Officers, Chief Merchants, etc.). Infor can leverage their newer cloud-based technologies like the CloudSuite applications and the exposed APIs (e.g. SCM, EAM, CPQ, CRM, and HCM), ION, Ming.le, Rhythm, and Sky Vault to name a few. An example, Infor helped one of their luxury auto manufacturer clients provide a whole new level of experience to their customers—such as the ability for the car buyer to get a body scan and have an exact custom-fitted car made, the ability to customize every detail, track their vehicle through each step in production (even down to the point of knowing details about who was installing the engine and other steps), and drill down into beautiful, detailed rich content about each component of their car. The transformation was not just about the customer-experience, but also the employee engagement in sales and on the plant floor. In another example, they took a company that sells animal feed and helped them transform into a much higher value provider of total farm management, utilizing telemetric data from sensors on ‘connected cows’ that would enable the farmer to see where they were grazing, look at various batches of milk, understand yields, and provide dashboards to manage the whole operation. They also provided unique content, such as expert advice from veterinary service providers, weather, news, and wholesale market data. The feed company completely changed their relationship with their customers, becoming much more strategic and high value, not only selling more services, but also more feed. Infor has done other similarly profound transformations at manufacturers, retailers, and even public sector/governmental entities. 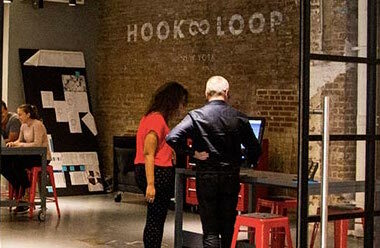 The engagements being done by Hook & Loop represents a relatively small percent of Infor’s overall business, but it brings those relationships to a whole new strategic partnership level, and has a halo effect on the image and perception of Infor. I haven’t seen this combination of capabilities at any other ERP firm. Though Infor’s roots are in manufacturing and distribution, they have recently made really big investments in retail. Infor’s president, Duncan Angove, has a background in retail solutions.5 Starting with just a single retail employee at the beginning of 2015, they now have over 500 employees on the retail team (including over 300 engineers building out the solutions). They are leveraging Hook & Loop digital and creative capabilities, Infor’s data science investments, GT Nexus, and all the cloud technologies. Infor has invested $25M in Predictix, forming the baseline of their development strategy. This partnership brings Infor strong merchandise planning, assortment, category management, demand forecasting, price optimization, and supply chain optimization. Infor is taking a very modern, extensible application design approach, decomposing and providing highly granular APIs. To allow retailers differentiation, configuration is meta-data driven. They have designed the solution to store a huge amount of very detailed, granular data ‘perpetually,’ feeding machine learning engins. Predictix’s extreme scalability to handle these truly massive data sets was a key reason they were selected. Merchandising will be powered by these built-in analytics, using low latency data streams (rather than traditional batch mode data uploads). GT Nexus will be leveraged to provide visibility upstream in the supply chain. 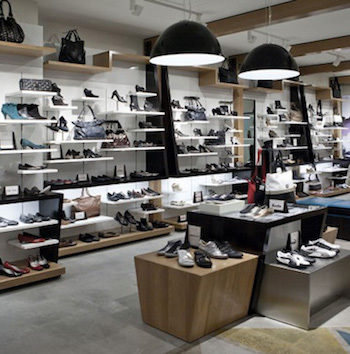 Infor has about 1,700 customers in retail and fashion. They provide PLM systems for many of these as well. Infor said that retailers are hungry for an alternative to Oracle and SAP and have warmly welcomed what Infor is doing. Much of what Infor is doing in retail is co-developed with retailers, helping to ensure relevance and practical value to retailers. When Infor acquired many of these older companies, there were real questions about what they would do with these assets, and what would be the fate of customers using those systems. The winners in all of this are the customers of those older solutions that Infor has acquired over the years. Those would have otherwise been ‘orphaned’ solutions, without the resources to bring them into the 21st century. Now these customers have a path to take advantage of the latest technology, and a partner that can help them truly transform.